A campaigning mum has revealed how her postman son’s sudden death could have helped to save 1,000 young lives, thanks to her tireless fundraising to provide vital heart screenings in his memory. Describing his impressive legacy as “a silver lining in a really dark cloud,” Sue Hughes and her husband, Rolls-Royce project engineer Dave, are now determined to help save lives, by making young people aware of the dangers of undiagnosed heart defects. A post-mortem after Daniel’s death on 19 March, 2015, showed he had suffered sudden arrhythmic death syndrome (SADS) – also known as sudden adult death syndrome – which he had no idea he had. The condition – responsible for 12 UK deaths in under 35s, not previously diagnosed with heart conditions, every week – causes cardiac arrest, by bringing on a ventricular arrhythmia, or disturbance in the heart’s rhythm, according to the charity Cardiac Risk in the Young (CRY). Sue and Dave, who have now raised £153,000 for the heart screenings, remember their son as a fit and healthy young man, who loved sport and played football for four local teams – even captaining a match a week before he died. Dave, 59, said: “Daniel was a really nice, well-mannered, decent lad. He loved to have a laugh and was always the life and soul of the party. The night before his death on March 19, 2015, the family enjoyed a meal together, before Daniel went to bed at around 9.30pm. Dave got up for work at 4.30am the next day, with Sue, a former secretary, rising at 6.30am. At 7am, concerned that she had not heard Daniel getting ready, Sue knocked on his door, going in when he failed to reply, only to be met by a sight she will never forget. Her son had started to turn purple, but was lying in a “perfect” sleeping position and, CPR trained, she tried to revive him, while waiting for paramedics to arrive – but it was too late. Dave was at work when he received the phone call every parent dreads. He recalled: “Sue asked me to come home and when I asked why, she said our son had died. 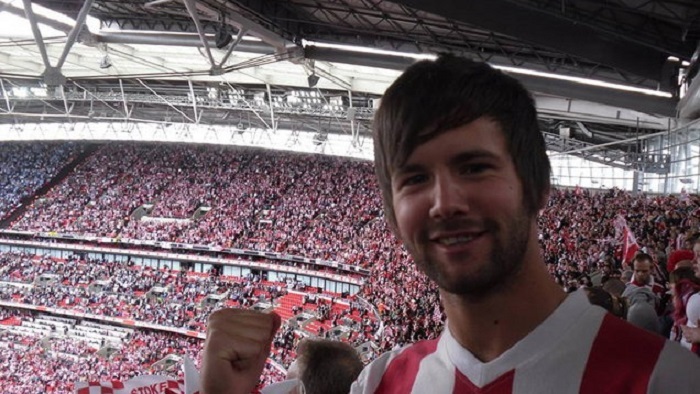 After Daniel’s funeral on April 7, 2015, the family, which includes Daniel’s sister Kimberley Hughes, 32, a teaching assistant, received £300 in donations, which helped them to focus on how they could create a fitting legacy for him. Dave said: “We were trying to decide what we would do with the money, when we heard about the charity Cardiac Risk in the Young (CRY) – which works to reduce the frequency of young sudden cardiac death. To date, the family have funded 996 young people’s heart screenings in the Stoke and East Midlands areas.